Q5: How long do i need to wait before my goods arrive9 ---4-7 days for air freight,3-6 days for international express. Q6 :How can i ensure the quantity of the product9 --We can send samples for you first. And before mass production,we will send you pictures to verify for the designs. Please feel free to contact us Q:What's the production time of your products9 A:As usual, our production time is 7-14days. For express and air , delivery time is 3-7days For sea shipment, delivery time is 30-45days Q:What's the warranty for your binoculars9 A:2 years. Q:Are you a manufacturer or trading company9 A:We are a company with own factory Contact us Beijing Golden Eagle Out-Door&Optics Co.,Ltd. ,Ltd, is mainly engaged in the production and marketing of optical instruments, such as magnifier glass, all kinds of lens, telescope, compass, plastic product and so on. 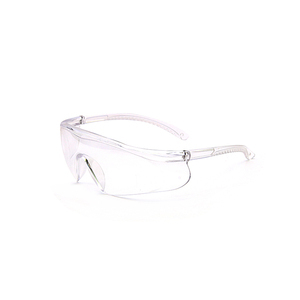 ,Ltd is mainly engaged in the production and marketing of optical instruments, such as magnifier glass,all kinds of lens, telescope, compass, plastic product and so on. South America, Southeast Asia and many other countries and regions, which were deeply loved by both domestic and overseas customers. We have wide series of lupe for your chioce, If you have interest in any of our magnifiers, just be free to contact me. Suitable for large quantity and non-urgent delivery. Suitable for large quantity and urgent delivery. 2. We can do OEM designs if you send your detail requirement. 3 . We have professional sales can quote to you at the first time. 5)When the goods has been send out you will get a tracking No . 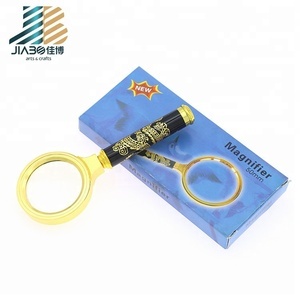 Multifunctional Pocket Metal Cheap handheld Magnifying Glass with Large Glasses Lens Features: &bull;100% Brand New High Quality &bull;Material: ZincAlloy Frame, Plastic handle (Wood surface) ,Glass Lens &bull;Quantity: 1 Pcs &bull;Diameter: 9cm/3.54" &bull;Handle length: 8.9cm/3.5" &bull;Color: Golden Frame And Red Handle &bull;Magnifying Power: 10X &bull;Suitable for viewing small print or objects &bull;Compact size, Convenient to carry. Packaging & Shipping Package includesz: &bull;1 x Magnifier Glass. 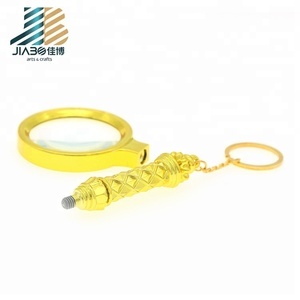 Alibaba.com offers 1,136 cheap magnifying glass products. About 49% of these are magnifiers, 1% are lenses, and 1% are other toys & hobbies. 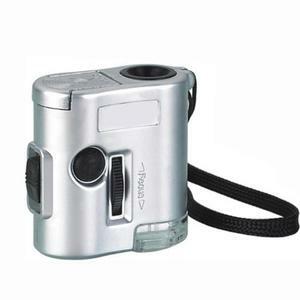 A wide variety of cheap magnifying glass options are available to you, such as plastic, glass. You can also choose from free samples, paid samples. 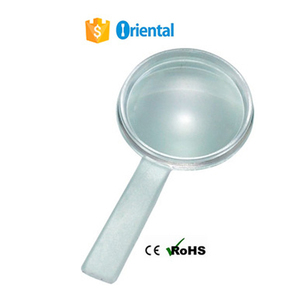 There are 1,142 cheap magnifying glass suppliers, mainly located in Asia. The top supplying countries are China (Mainland), India, and Pakistan, which supply 95%, 3%, and 1% of cheap magnifying glass respectively. 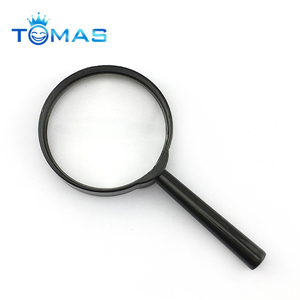 Cheap magnifying glass products are most popular in North America, Western Europe, and Eastern Europe. You can ensure product safety by selecting from certified suppliers, including 156 with ISO9001, 137 with Other, and 67 with ISO14001 certification.